It’s almost the most magical time of the year – the Holidays at Disneyland Resort begin Nov. 9! Yesterday, we gave you the Foodie Guide to Disney Festival of Holidays at Disney California Adventure park, but did you know that there’s SO MUCH MORE festive food at all of our parks and resort hotels? That’s right, we’ve got everything from candy cane beignets and gingerbread men to eggnog and holiday cocktails. Throughout the holiday season, you’ll be able to feast on all of these yummy goodies! For more information on all of the seasonal festivities happening around Disneyland Resort this year, check out the Disneyland Resort website. 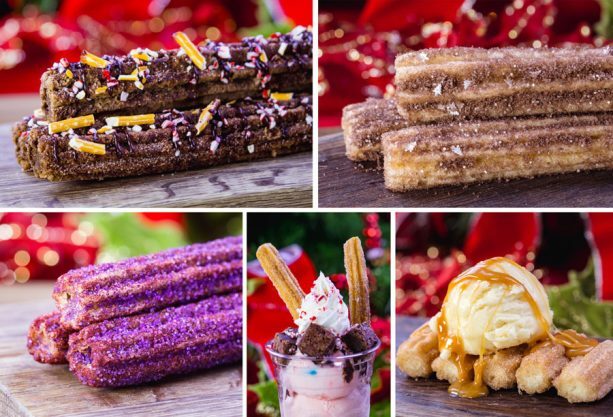 And with that, here is our official Foodie Guide to 2018 Holidays at Disneyland Resort – Happy snacking!